Dr. Messina is a member of the American Academy of Neurology, American Academy of Sleep Medicine, the American Neurological Association, the International Headache Society, the American Medical Association and other professional groups. He serves on the Advisory Board of the National Headache Foundation. 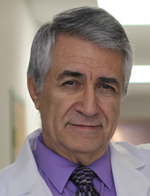 His unique background in general neurology and his long experience in sleep disorders, behavioral neurology and painful disorders allows him to see the neurological patient in the context of their other medical problems.